Hi my names Kayleigh Berry I am a 33 year old nanny. I am a very friendly, polite and punctual person who works to the best of my ability as I love my job and all the children Ive cared for. I enjoy family days out. please contact me with any questions or to arrange a face to face chat. I have a 5, 6 & 10 year old girls who attend Mossfield primary and I work during the day as a Teaching assistant at Sunning Hill primary. I look after my own children before and after school but other arrangements can be made for them if needed. I'm available at weekends However, I may have my own children sometimes but i have found having my own children with me gives the children in my care the best opportunity to socialise with other children helping them to share, take turns and emotionally understand the effects of their behaviour towards others as well as childcare being provided. As ive always had my own children with me while i work they have also got a great deal out of being with the children i care for and a real excitement to see them again. 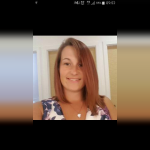 * I would work from the convenience of your own home (so you dont have to get the children up, dressed and fed then have travel to the childminders every time before work and then again in reverse after finishing work as i can have them bathed fed and bed for you to then relax after a long day working). * I am also available to work the school holidays as normal, no extra charge or change in routine. I am also able to do extra hours for things like babysitting, evenings or weekend care and payment can be arranged separately if needed. If you like the sound of above and you think this could be an option for you, please take a look at my profile and I would love to hear from you. Thank you for taking the time to reading my message. I am looking for a loving and friendly family who are ok with my own children to coming along with me as well. If you would like a chat just send me a message and i will do my very best to help. I have over 11yrs childcare experience from working with children of ages 0 - 13 years old, looking after multiple children of the same age group as well as children with diabilities. I started off in childcare as a trainee nursery nurse on an apprenticeship and worked my way up to a qualified level 3 nursery nurse, when qualified I was also head of health and safety as well. In October 2010, I decided I wanted a more 1 on 1 contact and approach to caring for children so I changed career to a sole charge nanny and I love the work I do. Because working in the various roles in childcare means I have been able to gain valuable experience and knowledge of the pro's and con's in each setting for example in a nursery if your child is unwell the child is not allowed into the nursery and if they are sick in the nursery then they get sent straight home. However, in my role this would be no issue for me - meaning you are gaining more reliability and peace of mind that that you can carry on with everyday needs. I have experience of toilet training children, whilst working both in a nursery and as a nanny and would be happy to help parents through this transition. I also have excellent references from previous employers if you would like to see them. I am also involved with bolton social services with their shared care team. Looking after disabled children and their families as a sitter which involves sitting in their own homes helping out their family unit and im a befriender which involves taking children out on day trips to give the parents the break they need now and again. Even overnight care if necessary. This will not effect any employment I may have. Help you with toilet training, weaning, parental support, any transitions they may have to go through. As a nanny I would arrive at your home punctual and ready to start my day I will follow your routine you like your children to be in if they need waking, washing and getting dressed. I would prepare their breakfast. I am able to give you a daily diary explaining where we have been that day whether it would be to a local play groups to help them socialise and become more independent, parks to give them the freedom to explore and understand danger and how to be safe when out and about like road safety, stranger danger, libraries to help them get excited and interested in reading and using their imagination, nature trails to help them explore and investigate the natural world around them, farms to help them develop their knowledge of the world or even a trip to the seaside for a really fun day out I would also take lots of picture for you to see. I would inform you of the meals they have had and how they have been throughout the day in case they showed any signs of sickness so you would be aware of any changes in behaviour. If the weather isnt very good we can do lots of creative activities inside like drawing, painting, sculpture, water play, sand play, singing, dance, reading and food tasting & cooking. I will make sure we follow all events, seasons and special occasions and make sure I do an activity around this theme and this will then progress the childrens physical, intellectual and emotional development. I would also prepare them for bed again and stay until you return from work. I am able to do light house work if needed when the children are sleeping. A sitter which is sitting in their own homes helping. A befriender which is taking children on day trips to give the parents the break then need now and again. This will not effect any future employment. Below are the latest reviews for KayBerry. Please note that reviews represent the subjective opinions of other Childcare.co.uk users and not of Childcare.co.uk. Parents must carry out their own checks and references on childcare providers to ensure that they are completely happy before enaging in the use of their services. Kayleigh has looked after our son from him being 1 year old. She's simply amazing. Even if our little boy hasn't seen her for a month or so, he warms to her straight away. She also has an incredible knack of getting him to sleep, better than us! I would 100%, highly recommend Kayleigh. Thank you for taking the time to make such a nice review. Kayleigh is devoted to what she does and this reflects in here attitude and aptitude to her chosen profession fantastic with children best child carer I have ever met friendly but professional to be honest I can't fault her and would recommend her always everything you expect and more well done Kayleigh you are my babysitter of the year ! She’s amazing with our son, came prepared for our meeting which really put my partner at ease, my son warmed up to her immediately which is great as it takes him some time normally with strangers. She’s great at communication and puts up with all my cancellations and rearrangements as I work by a rota each week which is so helpful and she never complains! My son gets excited when she picks him up from Nursery and he loves her children who play with him and some great interaction for him! Reassuring, very caring & punctual! Kayleigh has been looking after our little boy for 2yrs now. He has special needs and can be challenging at bedtime but Kayleigh has built up such a great relationship with him, that she is able to settle him in no time - which is reassuring for us as parents. Kayleigh also looks after our son during the day sometimes. She tries hard to interest him in play where he learns & he always has fun with her. We would highly recommend Kayleigh for any type of childcare!